The popularity of AWS has only grown over time and it’s currently one of Amazon’s most profitable areas. AWS is a cloud computing system used for various web and database platforms. AWS may seem like just another cloud system but it has a variety of tools and features. Thankfully there are plenty of books to help you get started creating your own cloud apps. I’ve covered a handful of books here which I consider to be the absolute best books you can read for mastering AWS from scratch. Whether you’re just getting into AWS or just need a refresher I’d highly recommend Amazon Web Services in Action. It’s a #1 bestseller in the technology category and it covers a lot of ground in 420 pages. Plus this book covers so much that it can be useful for both beginners and intermediate users. I don’t usually like the “for dummies” series because they don’t always cover technology well. But Amazon Web Services For Dummies is a pleasing exception. This book covers a lot of the basics over a total of 380+ pages. 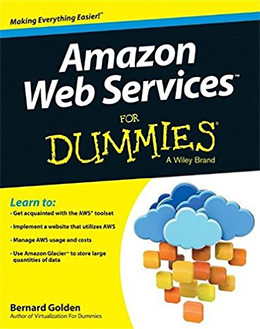 It does read more like a technical manual than a step-by-step guide, however it’s still great for newbies who don’t know anything about AWS. Unfortunately this isn’t the most practical book out there. It is very detailed and much easier to read than the official AWS documentation. However this book does not teach you detailed specifics like how to spin up a server environment or how to scale your app on AWS. I’d recommend this book for users who know a bit about cloud hosting but have no knowledge of AWS hosting. For a more hands-on look at AWS I’d recommend Learning AWS from the folks at Packt Publishing. This book really gets into the details about cloud computing and the Amazon hosting platform. The first 3-4 chapters cover the basics of AWS and they teach you how to setup an EC2 and an RDS instance. However the later chapters get into much more detail including databases and server infrastructure. 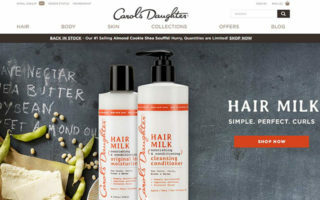 You’ll need to know MySQL and preferably have some development experience building RESTful webapps. Later chapters teach you how to scale webapps on AWS and how to handle fault tolerance on your cloud system. All-in-all I think this book is meant for existing developers who have little knowledge of AWS. A complete beginner may find their way in the early chapters but when the difficulty ramps up they’ll be left dead in the water. I cannot recommend a better intro guide than Amazon Web Services in Action. This is the absolute best title for a complete beginner who needs a walkthrough of the AWS platform. The writing style is a bit terse and very technical. However the information is all accurate, easy to follow, and includes plenty of screenshots & diagrams. 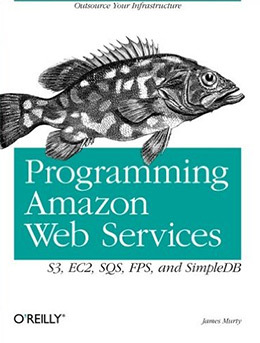 Anyone should be able to pick up this book and get going with AWS. The early chapters help you sign up for a free developer account and spin up an EC2 instance from scratch. You’ll learn how to manage Node, PHP/WordPress, and how to manage databases from the terminal. All chapters include relevant source code and most of the writing follows a step-by-step tutorial process. The authors also share tips for using the terminal and the GUI, two different AWS interfaces that support a wide readerbase. No matter where you are with cloud hosting or AWS this book offers the best guide for beginners and most intermediate users too. The AWS Lambda setup is an event-driven cloud platform which differs from EC2. Lambda is more of a managed system and while it does have similar features, it also has differences in the interface and setup. 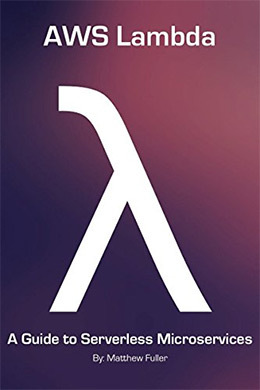 The book AWS Lambda by Matthew Fuller is a cheap introduction to the Lambda setup. 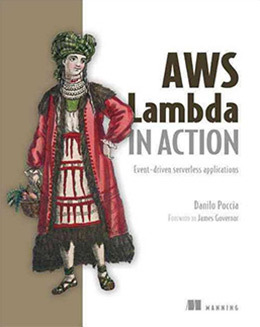 It’s only 132 pages and it should offer all the information you need to get moving with a Lambda serverless environment. Every chapter is incredibly detailed and the writing style caters to complete beginners. You should have no problem picking up this book and reading it cover to cover. Just make sure you know why you’re using Lambda and how it differs from Amazon’s other serverless options. 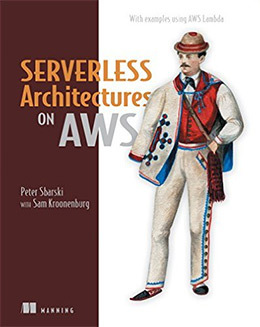 Manning Publishing is known for their attention to detail and this remains true in their newest book Serverless Architectures on AWS. This is the newest AWS book on the market and it covers everything about Amazon’s serverless architecture. You’ll learn about the future of serverless architectures and managing websites on these platforms. Over 425 pages you’ll learn how to spin up a new instance, launch your app, maintain the platform and implement proper security measures. Each chapter focuses on a different task and you’ll gradually move through increasing levels of difficulty with full source code and diagrams. I recommend this title for beginners or intermediate developers who love working on a serverless platform. If you read this book all the way through you will gain tremendous confidence in managing your own cloud projects. This is perhaps the largest AWS book totaling just over 600 pages long. Programming Amazon Web Services gets more into detail about all the different types of AWS systems. 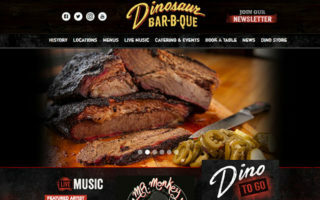 Topics include the S3 for simple storage, EC2 for cloud service, SQS as their message queuing service, and later chapters cover FPS which is Amazon’s AWS payment gateway API. 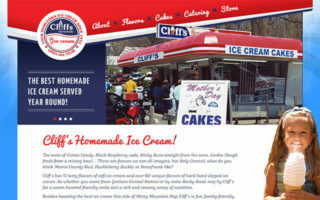 Each service has about 100-150 pages devoted to explaining the features, how they work, and how to get started. This may feel like a watered down version of different guides but it’s meant to provide an overview of the primary AWS features. If you’re brand new to AWS I would recommend getting a more targeted book like AWS in Action. But if you’re itching to get a broader view of everything that AWS offers then you will love this book. If you’re new to AWS Lambda then the best way to learn is through practice. And that’s exactly what you get with AWS Lambda in Action. This is another Manning gem written by an AWS tech evangelist Danilo Poccia. 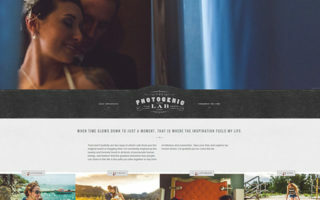 Danilo is an experienced user and worked hard to organize this book in a clear-cut fashion. Unfortunately the first couple chapters are very complex and full of information. It’s not crazy for a beginner to pick up this book and immediately feel lost. But the directions are crystal clear so once you understand the basics of Lambda you should have no problem working through these examples. As a compliment to the previous book you might enjoy this AWS Lambda: The Complete Beginner’s Guide written by Byron Francis. It’s much shorter with only 42 pages, but it doesn’t waste any time overstating the obvious. Instead you’ll learn how AWS Lambda works and what it does. There is a lot of theory in this book since it’s mostly aimed at complete beginners. However there are plenty of chapters covering deployment with all the supported languages(Java, Python, and Node.js). 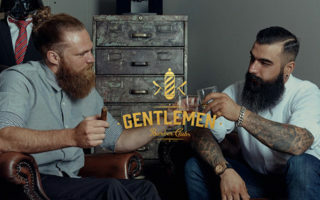 You’ll learn how to build concurrent connections and how to manage resources in your serverless architecture. But for a newbie book this simply doesn’t get into enough detail to be a standalone title. 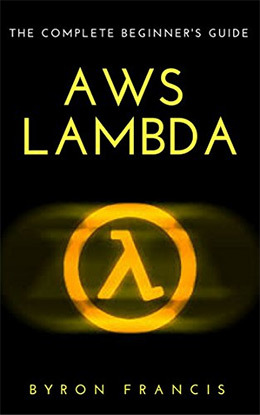 Instead it’s a great intro guide to help you ease into another more detailed Lambda book. IT professionals and sysadmins know all about certifications. They can be annoying but they’re also useful for certain working environments. Amazon has their own AWS cert called the Certified Solutions Architect, or CSA for short. 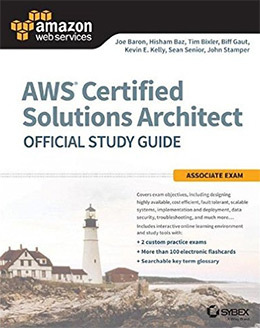 They also have a very lengthy study guide called the AWS CSA Official Study Guide. It’s just over 500 pages long and it’s full of everything you need to know to ace the exam. The book has several authors and all of them are AWS experts(some even working for Amazon). While you may not need a study guide for the exam, this is absolutely the best one you can get. 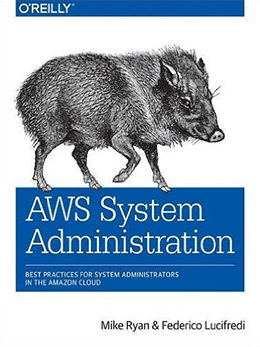 If you’re approaching AWS from an IT/sysadmin viewpoint then AWS System Administration is the only book you need. It does cover some of the basics of a serverless environment, but it delves more into the key features of AWS administration. This 278 page guide covers the basics of configuring and maintaining an AWS system. Topics include EC2 launched with CloudFormation, basic AWS security tools, and managing logs in your AWS environment. You’ll also find a few chapters covering deployment and scalability with load balancing. Any systems administrator or DevOps team would greatly benefit from reading this book. AWS is quickly becoming the norm for cloud computing and this book will get you up to speed without any pointless drivel. Scripting and automation is the way of the future. This applies to all areas including hosting which is where AWS Scripted comes into play. 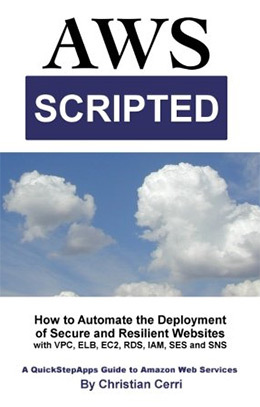 This is the 1st book in a series of two books covering the basics of scripting and automation on AWS. Each chapter covers a different skillset while teaching you to build confidence in the CLI/bash shell. Early chapters cover automation for spinning up an instance and installing certain programs. Later chapters get into security for SES mail and an AWS setup with Apache, PHP, and MySQL. All source code is completely free and easy to save for future use. But while the code is great this book also teaches a lot about AWS as a framework for secure cloud computing. If you’re a web developer with little-to-no cloud experience then EC2 may seem a bit scary. The solution is a dev-targeted book like Programming Amazon EC2. It’s a pretty short read with only 186 pages but it covers everything you could possibly need to know. Early chapters talk about Amazon’s cloud infrastructure while later chapters get into automation for common environments. 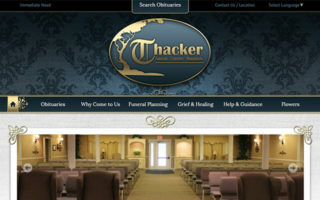 Every chapter offers both a CLI solution and a web interface solution. 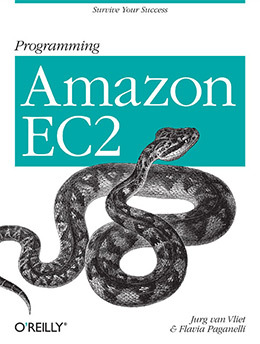 Anyone with some basic dev knowledge should be able to complete this book and learn a lot about EC2 in the process. My biggest complaint is how little this book covers security. It works great as an intro guide for web developers but this is not the tome of EC2 development. 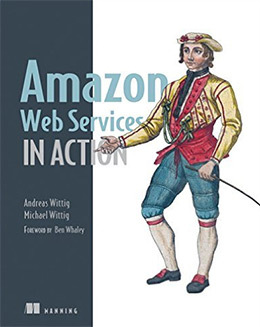 If you’re brand new to the AWS landscape then I highly recommend reading Amazon Web Services in Action as your intro guide. This is the absolute best title I’ve found that covers enough detail to really help you understand the serverless environment. And since it’s published by Manning you’ll get a free digital copy if you buy the print version. More experienced users should try to find books that cater to your area of expertise. If you’re more into devops or system administration then check out AWS System Administration. If you’re a web developer then AWS Scripted would probably be more useful. But in truth all of these books are fantastic, they just approach different topics from different angles. 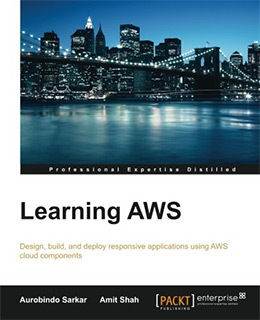 If you know your experience level and what you’re trying to learn then you’ll have no trouble finding a great book to get you moving with AWS.